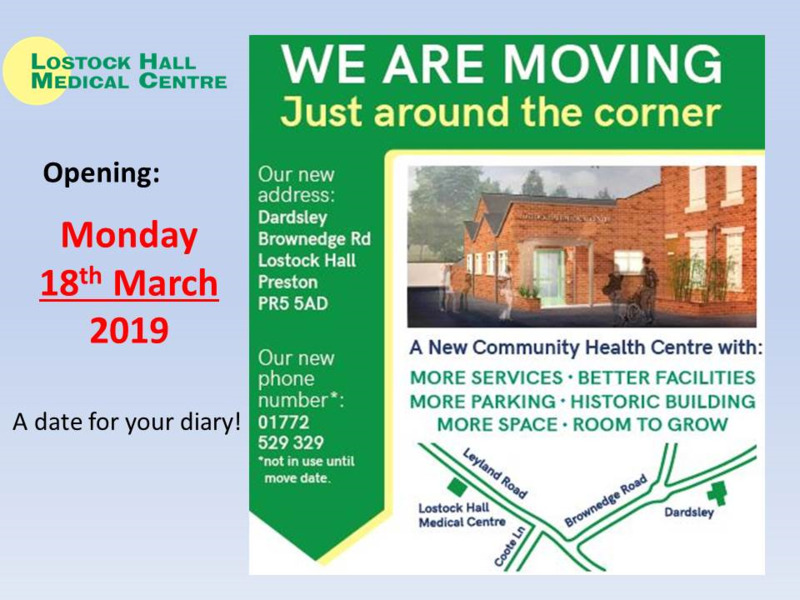 We are proud to have opened in our home at Dardsley in Brownedge Road on 18 March 2019! Please note our new telephone number 01772 529329, although the old number will transfer you for the meantime. See our News page for further details about the new centre. A family practice that is proud to be an important part of the local community. We are a growing practice with more than 4,000 patients visiting us from Lostock Hall, Bamber Bridge, Penwortham, Farington, Whitestake, Walton-le-Dale and surrounding areas. There is a generous car park for our patients use with full access for the disabled patients.